Last Saturday, over 230 budding shepherds and shepherdesses of all ages gathered on the start line for the ever popular Shepherd Skyline fell race, hosted by Todmorden Harriers. 34 were from CV, evenly split between the juniors and seniors. 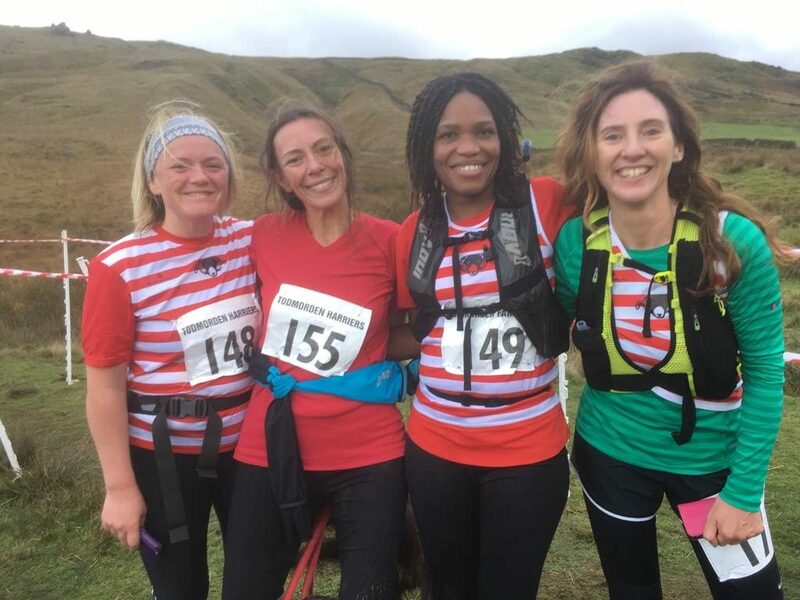 The latter was a fast, muddy course – with a steep descent off Stoodley Pike for the kamikaze descenders, immediately followed by a stiff climb back up the hill to keep the stout-legged fell runners on their toes. This 6 mile route takes in 1148ft of climbing whilst offering stunning views across the valley from the ridge line. This years race saw a lose horse running wild at the top of Stoodley, adding to the excitement of the event. The junior routes opt for a shorter version, albeit as muddy, on the nearby hillside. CV excelled in the race, dominating much of the prize giving. CVFR’s international star, Holly Page, delivered her usual impressive performance, coming in first lady in 47:54. First CV home was Shaun Godsman, who came in third, securing the MV45 prize. With 4 CV runners all in the top 10, CV also scooped the MV40 prize (Mark Burton) and both the Men (Shaun Godsman, Mark Burton & Jon Smith) and Women (Holly Page, Ellie Eady, Eileen McDonach) Team prizes. 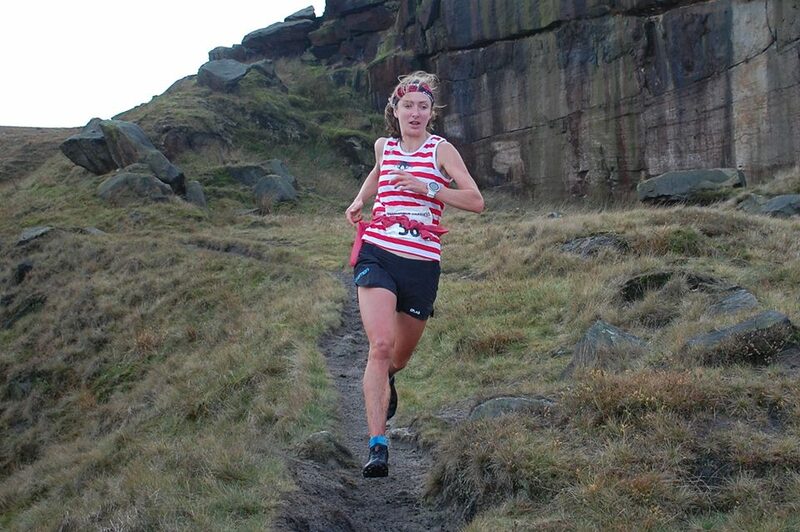 Another note worthy performance was from CV’s Helen Flage, her first fell race since the birth of her daughter earlier this year. 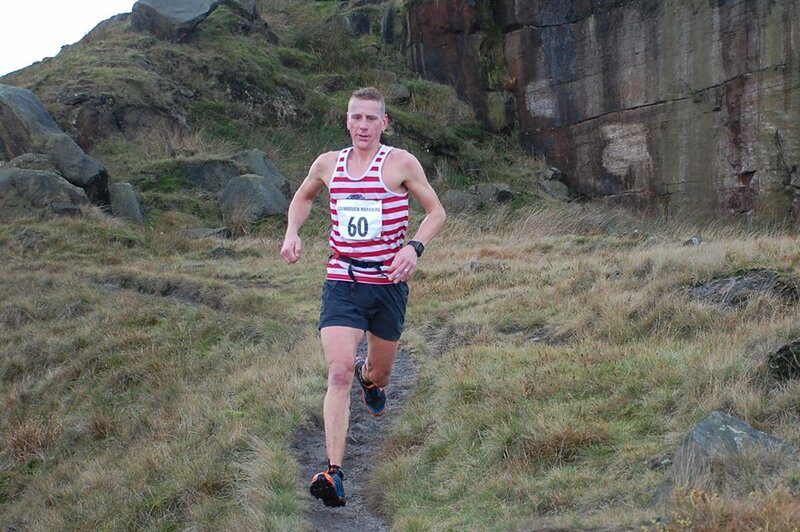 Overall winner was Nathan Edmundson from Ilkley Harriers in 43:02. The following day saw 8 CV heading to the Peak District for the 15mile Roaches fell race, the penultimate senior club champs event. Ian Symington was first CV home in 16th place. Tamsin Cooke took up the gauntlet to secure the previously unclaimed 3rd lady club champs trophy, which she’ll receive at the club’s do in Jan. This entry was posted in Uncategorized by Con. Bookmark the permalink.